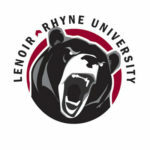 GREENVILLE, S.C. – Lenoir-Rhyne University’s first appearance in the South Atlantic Conference (SAC) basketball tournament final since 2005 fell short of a title. Second-seeded Catawba edged the fifth-seeded Bears 71-67 at Furman’s Timmons Arena on Sunday afternoon, earning the SAC’s automatic bid into the NCAA Division II tournament. Later Sunday, LRU (21-10) got good news – an at-large spot in the NCAA tournament as the Southeast Region No. 6 seed and a game on Saturday against No. 3 seed USC Aiken at Queens University in Charlotte (time TBA). The NCAA bid is the first for the Bears since 2016 when they reached the Sweet 16 as a No. 7 seed, beating King and Wingate before falling to Lincoln Memorial. LRU advanced to Sunday’s championship game by beating top-seeded Queens for the second time this season on Saturday. Neither team led by more than eight points. Cory Thomas led LRU with 19 points, going 8-of-12 shooting, and was named all-tournament after scoring 63 points in three tournament games. Bertrand Awana, for the fourth straight game, did not miss a field goal (7-for-7) and was also all-tournament for the Bears. He added a career-high six blocks and six rebounds and has converted his last 23 shots. Catawba won on the strength of its offensive rebounding, grabbing 18 of them and gaining 17 second-chance points. The Bears shot 51 percent but the Indians got 16 more shots. Daquan Lilly and Jordan McElveen each scored 13 points to lead Catawba while Devin Cooper, the tournament MVP, finished with 12. 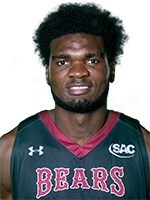 Jon Jean added 12 points for LRU. Catawba won the tournament for the first time since 2009, holding the Bears to a season-low two points and no field goals by bench players. The Bears beat the Royals, ranked No. 7 in NCAA Division II, for the second time in a season for the first time since 2008. LRU shot a season-high 63.5 percent, converting 35-of-52 shots, and led by as many as 23 points. The Bears stifled Queens(28-4) and held the league’s top 3-point shooting team to just 3-of-22 from long range. Queens shot percent from the field and trailed by double digits for the majority of the second half. Awana was perfect from the field, going 8-for-8 for a season-high 16 points. Thomas finished with 20 points, making 8-of-13 shots and adding three assists and two rebounds. Jean had eight points and six assists to go with only one turnover. Queens was led by SAC Player of the Year Shaun Willett — who scored 20 points and grabbed five boards — and Daniel Carr finished with a double-double with 13 points and 11 rebounds. The Royals had been to back-to-back SAC Tournament Championship games and won it all last year.